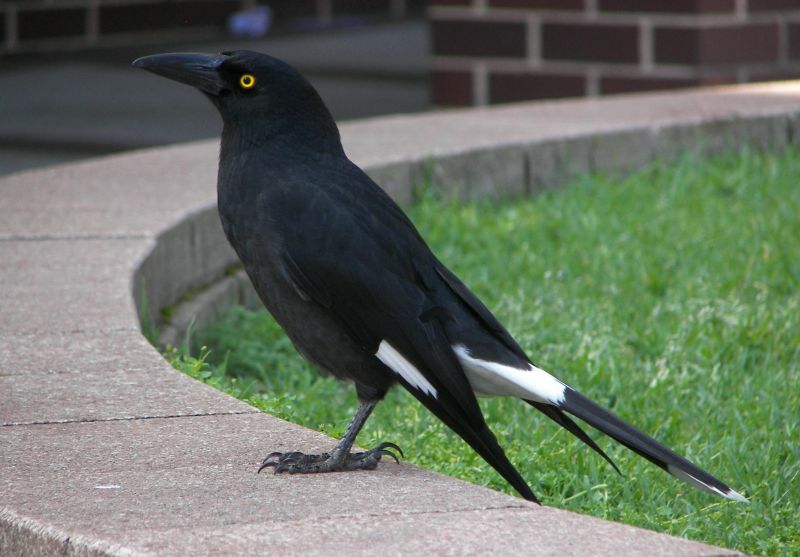 Pied Currawongs are large birds (44-51 cm) and have a distinctive 'curra-wong!' call, for which they are named. They are common and often seen in parks and woodland along the eastern coast. 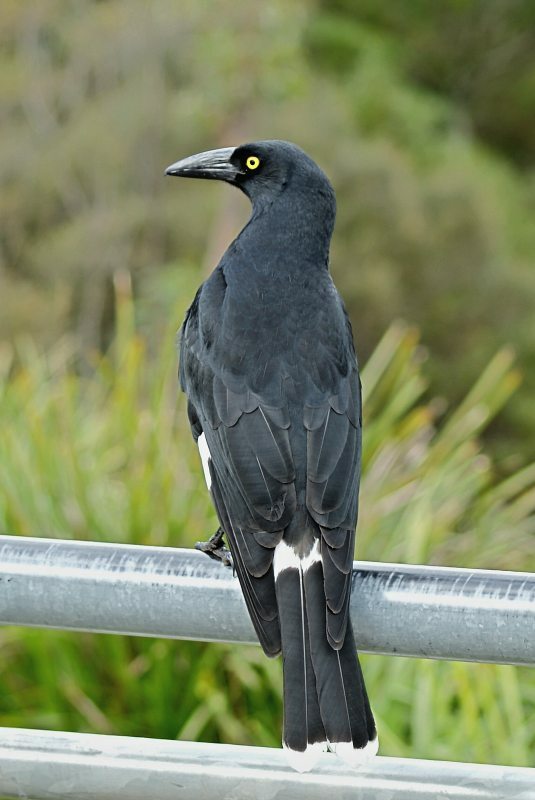 Over much of the rest of country, the Grey Currawong replaces it with a third species, the Black Currawong being found in Tasmania. 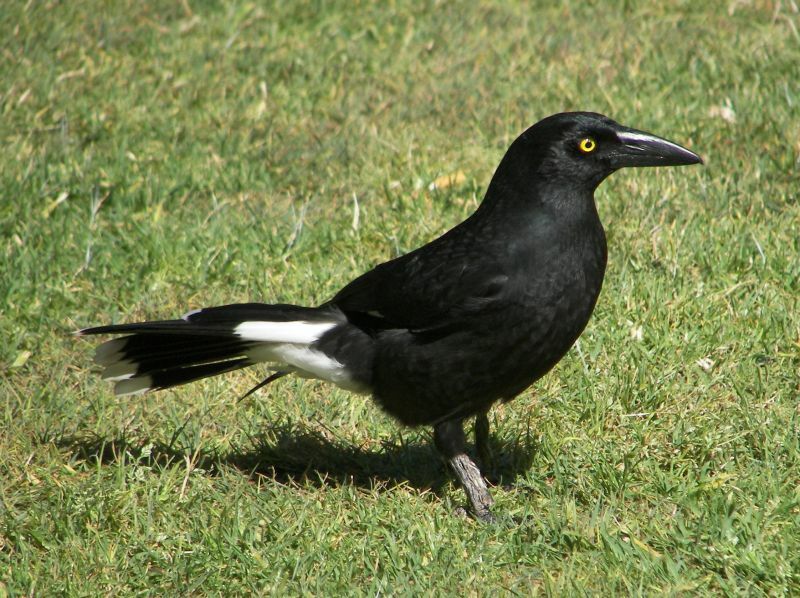 Currawongs are related to the Australian Magpie, butcherbirds and woodswallows, making up the family Artamidae. Although superficially similar, they are not closely related to the corvids, but occupy a similar ecological niche. The scientific name means "noisy Jackdaw". 1-2: Camperdown Campus, University of Sydney, 04/09/2009. 3: Echo Point, Katoomba, NSW, 02/06/2011.